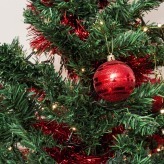 Home » Posts Tagged "sustainable Christmas"
Merry Christmas everyone! Hope this year you will have a Christmas filled with joy. This is the time of year when you decorate your house, buy gifts and invite your friends and family over for a Christmas dinner. The festival of Christmas is all about giving and sharing, no matter how little we have. The greatest gift you can give someone is the gift of happiness, and sustainability. You can really get creative and encourage others to become more environmentally conscious with green gifts. If we all could make this Christmas a Green Christmas, it would be the greatest gift we can give to the planet.